In 1815, the old St. Patrick Church acquired the first organ in town, a small instrument from an Episcopal Church in Virginia. 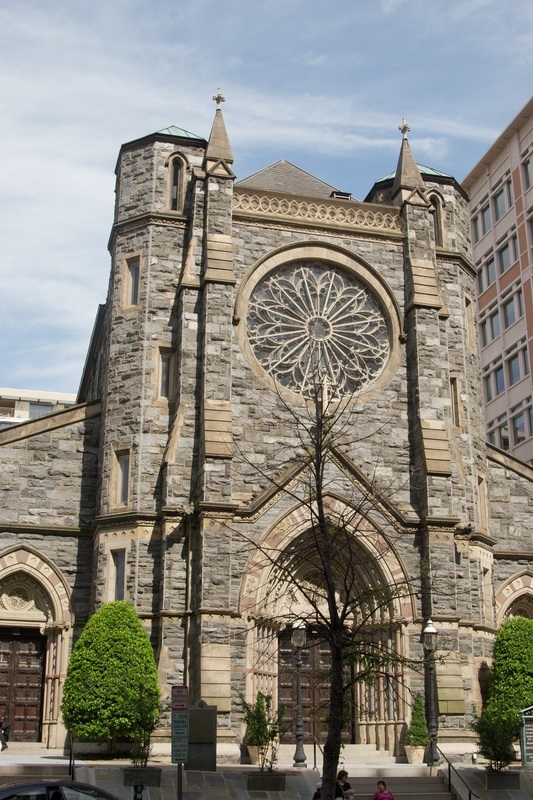 Its successor, built in 1857, was transferred to the present church in 1884. 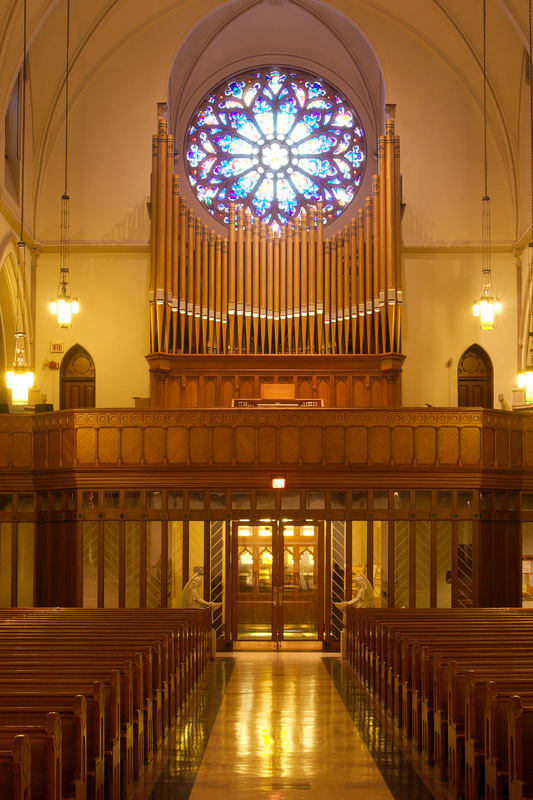 Just in time for the nation’s first Eucharistic Congress in October 1895, a large three-manual organ by the Barckhoff Organ Company was completed. This instrument was rebuilt by Lewis & Hitchcock in 1932. Further work by M.P. Möller included a four-manual console (1951), but the instrument was to remain unfinished, and it deteriorated when the parish went through tough times in the 1970s. By the late 1980s, things had begun to take a turn for the better, and as part of the 1994 church renovation the Lively-Fulcher firm was commissioned to build a new organ. The design is a complete two-manual scheme, with a third manual for added possibilities. As a personal interpretation of French 19th-century concepts it is a remarkably bold and versatile organ. Case, façade pipes and some of the interior pipework date from the 1895/1932 organ.